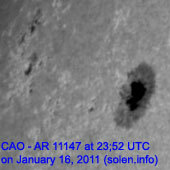 Last major update issued on January 18, 2011 at 05:10 UTC. The geomagnetic field was quiet on January 17. Solar wind speed ranged between 446 and 540 km/s under the weak influence of a high speed coronal hole stream. 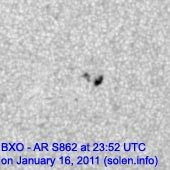 Solar flux measured at 20h UTC on 2.8 GHz was 81.8 (increasing 3.9 over the last solar rotation). The planetary A index was 4 (STAR Ap - based on the mean of three hour interval ap indices: 4.5). 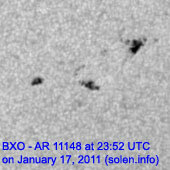 Three hour interval K indices: 22111111 (planetary), 22112212 (Boulder). 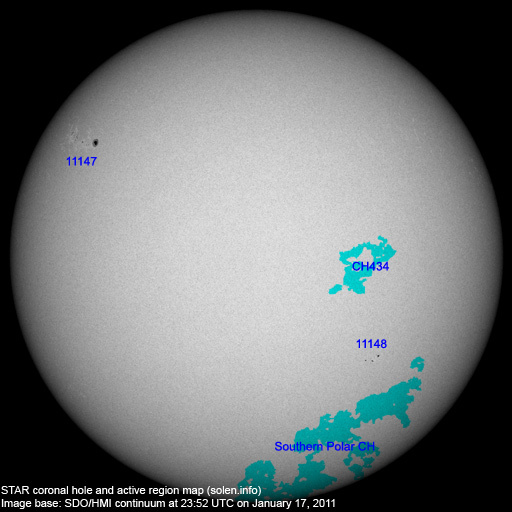 Region 11147 added several small intermediate spots. C flares are possible. 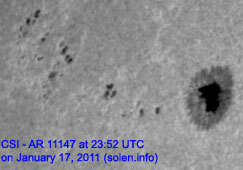 New region 11148 emerged in the southwest quadrant on January 16 and was numbered the next day by SWPC. Slow development was observed on January 17. January 15-17: No obviously Earth directed CMEs were observed in LASCO or STEREO images. 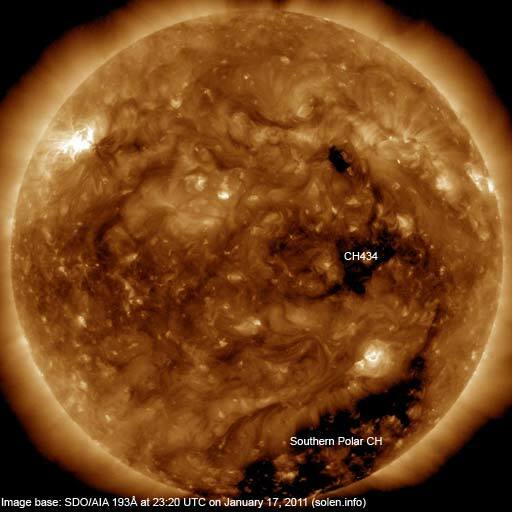 A poorly defined coronal hole (CH434) was in an Earth facing position on January 15-16. The geomagnetic field is expected to be quiet on January 18. On January 19-20 weak effects from CH434 are possible.